Red Riding Hood + Jeanne d'Arc + Liu Bei = Elphis?! Crazy yet intriguing! Scenario definitely differentiated from other time-traveling stories. 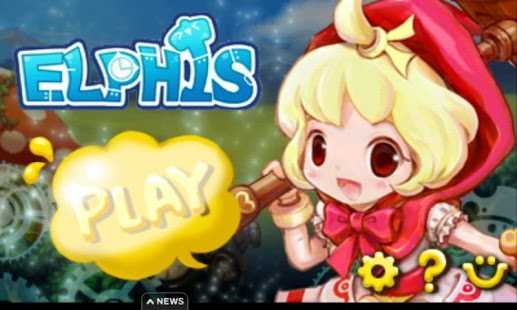 Roam inside fairytales, historical times, and other fantasy periods in Com2uS' casual RPG \”\”Elphis : Adventure\”\”!! Lalala~ Another peaceful day for Red Riding Hood, and her Granny tells her to bring back some apples. But when she came back home…. Granny's gone?!?! Search for Granny by traveling through time, and find out who or what took her away! And now… shall we start the time machine? – Little Red Riding Hood and her time-twisting adventure! Fairytales, historical periods! Fall into different times and dimensions to explore a journey with more challenges. Uncover the villain's hidden schemes and get indulged in a story you will never forget! – Endless Fun, Endless Combos! Elphis's specially optimized unlimited combo system! Unlimited super combos! Hit again and again to get stronger hits! Combo aggro skills will get you more powerful hits for maximum satisfaction. – Learn Skills! Get more power! Petite in size but Red Riding Hood holds so many skills! 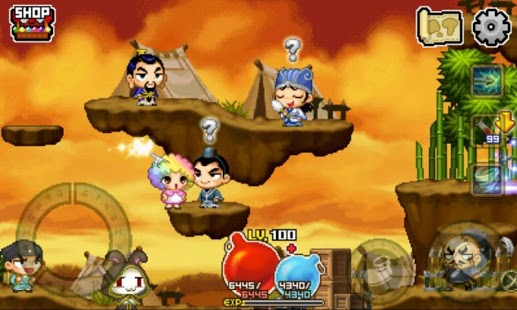 Elphis features Star-falling 'meteors', attractive allurement 'lures', wind-spinning 'storms', and more awesome skills. Get all the fantastic passive and active skills! Never-ending plays even when you see the ending! Various bosses and missions, special items hidden here and there in Infinite-Dungeon! – Character Level-ups with other customized features! Tired of Red Riding Hood being red all the time? Customize her look with different hats, capes, clothes and weapons however you want. Her power may increase with different looks! You can save your save data to the Hub, and load it from another Android device with the game on it! Just remember, when you upload your save data, it deletes it in the original device. You can load it from the Hub on the original device to continue playing! 【The Mansion: A Puzzle of Rooms】 Help Anne puzzle her way out of the mysterious Mansion!